In march I wrote a lengthy piece on voter turnout in developed nations, particularly ones with low corruption. My ultimate explanation for the phenomenon of declining voter turnout was what I dubbed democratic fatigue. Google shows that I’m not the first writer to come up with this phrase, but I’m one of very few. It’s a good definition of the problem, so I will continue to use it. Perhaps it will catch on. The European Union elections concluded last week, one of the largest democratic events on Earth. 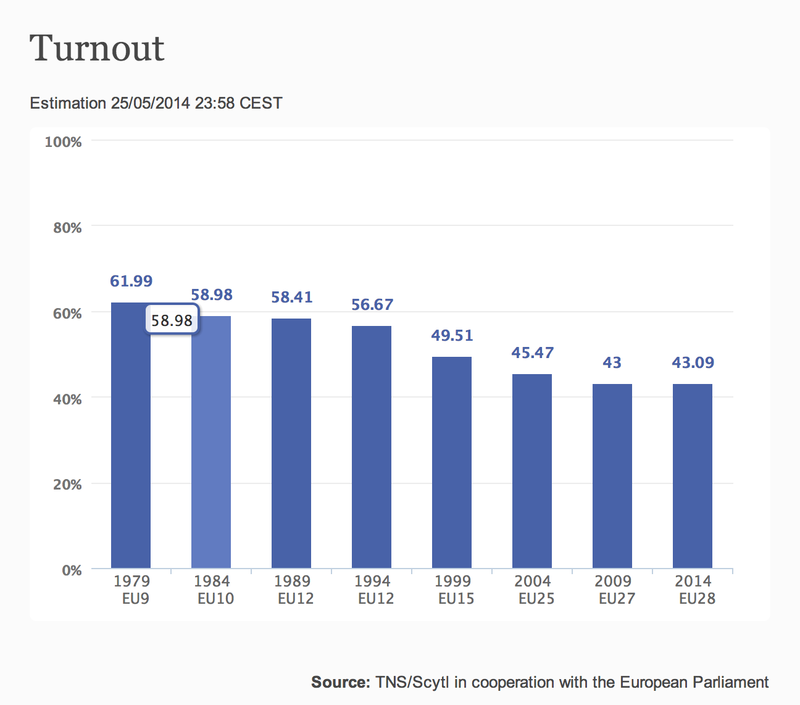 Ever since direct elections to a European Parliament started, turnout has decreased significantly. Good news in 2014 came not from a positive growth in participation but a stagnation. It was basically the same as it was the last time around in 2009. What this figure means is an open question. 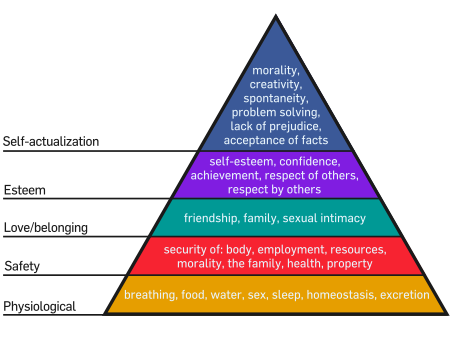 It could mean that 43%, on aggregate, is the bottom. What may be more likely is that there was an increase in interest from far-right and Eurosceptic parties, which propped up an otherwise shrinking electorate. Certainly this may explain some results in countries like France – it’s not just a big shift from other parties, but rather that the National Front electorate is just more interested in these elections. Looking at a party like UKIP, which won the UK elections, one has to see their history of success with EU elections alongside their zero Members of Parliament. That’s an interesting modifier when looking at democratic fatigue – belief that the election results will change power relations. This applies locally, regionally, nationally, and globally. The perception is that the European Parliament is basically powerless, so voting is more an intellectual (or anti-intellectual) exercise. I find the whole process interesting as an outsider from a two-party country, but it’s quite different from the inside. 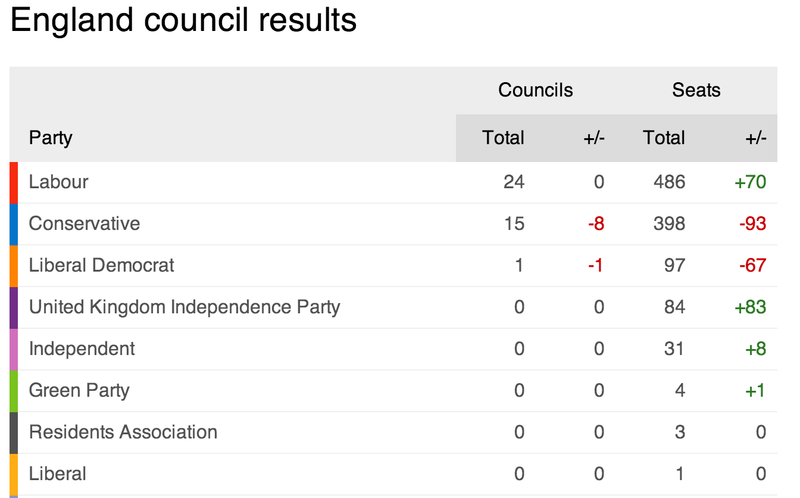 There’s a thirty point difference between this year’s European elections and the 2010 general election in the United Kingdom. The split between presidential and midterm elections in the United States is well-known. It’s clear that it’s a continuum – people view the President as a clear power player, Congress as a lesser and more nebulous institution, and it goes down the line. The European Parliament at this point has more in common with the UN General Assembly; it is adjacent to power in several directions but is clearly not the group in charge of things. How to make the EU more engaging and increase participation (an article with some of that conversation is here) is not sure- the disillusion with the elections is nearly total in Slovakia, for instance, while turnout in other countries is robust and healthy. The current state of things seems to be sliding towards a negative election, where people vote for anti-EU parties in increasing numbers, rather than groups that want to build the EU into something larger and better. This isn’t a majority of the vote but it’s headed that way. In my original post I talked about how turnout declines when things are working more or less okay; the Eurozone crisis perked some people up a bit, going against the prevailing feeling that the EU elections are pointless. There are lessons with last week’s elections all over Europe that can apply on the local and national level. What the European Parliament lacks in power and reach may apply to other governments, and turnout may be lower because of those same issues. Overall turnout for these elections was about the same as for Egypt’s election of their new military general-turned-politician, despite an opposition boycott. Perhaps everyone has found a reason to not show up.